Rarely available 1-bedroom condo at The ParkShore. Totally renovated: new kitchen cabinets, backsplash, counters & appliances; new bathroom clad in marble with shower & frameless glass door; hardwood floor throughout; solid panel doors; in-home washer and dryer. 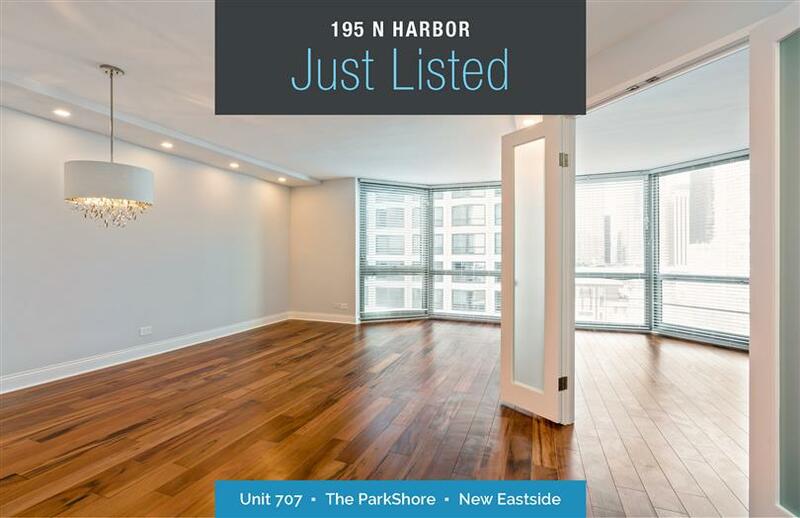 Located on the quiet west side of building, with view to the south of Lake Shore Drive, Chicago yacht club, Grant Park and west view of iconic architecture and Lakeshore East Park! Amenities include outdoor roof-top pool, sundeck, hot tub, fitness room, sauna, tennis court, 2 party rooms. Fabulous New Eastside neighborhood is within minutes of 4 parks, Pritzker pavilion, the "cultural mile, " restaurants, lakefront and Navy pier.